92 percent of home Buyers are researching the Internet for their homes. Having a strong internet presence when listing your home is absolutely key. Gone are the days for newspapers and magazines; home Buyers are searching on the computer, on their tablet, and on their phone finding the perfect property! I am continually evolving and keeping up with the latest trends in Real Estate Technology. My extensive Real Estate Marketing System is implemented on all my listings to guarantee your home is getting the maximum exposure possible. Your property will be published with high quality images on my Professional Real Estate Agent Website. Your property will be featured on the website with a property detail page with photo gallery and virtual tour along with all information about the property and statistical area data. A Virtual Tour to showcase your property to its fullest extent. This virtual tour can appear on the MLS for all other agents and consumers, your REALTOR.com® listing and posted on YouTube as well as other syndicated sites. Personalized listing flyer designed to focus on key features and promote your property in the best light possible. This flyer is also sent out to all the active Real Estate Agents in our area (a few hundred) for additional benefit. Professional and attractive Craigslist Ads for your property to generate buyer leads promoted on a weekly basis along with syndication to Postlets which is another avenue of potential consumers. Property can then be posted on my blog as well as ActiveRain, which is the largest community of Real Estate Professionals, giving exposure to a massive audience of buyer’s & real estate agents alike. 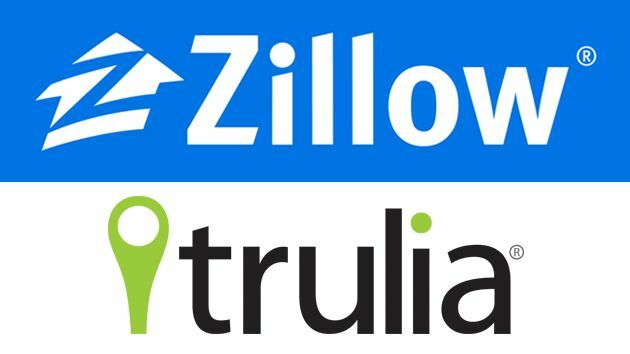 Trulia.com & Zillow.com are the two largest and most consumer visited real estate sites in the Nation. I not only syndicate your property to these sites but also pay to have them “featured” which means you will always find your home at the top of the search pages and not buried under several layers of other homes for sale down at the bottom. This allows my listings to generate large numbers of online views daily, sometimes 1,000’s of views per week!! Sign riders are installed on the top of all real estate signs to capture even more leads and interested Buyers. They can text a number to view your properties detailed information directly on their phone 24 hours a day! This is especially valuable on early mornings and late nights where a potential buyer may hesitate to call me directly for property information. Find out more about me on our About page, or on my Facebook page! My state of the art Showing Feedback System helps me obtain and compile feedback from your property showings for instant viewing. You will know exactly what the showing Agent and Buyer opinions/comments were after every showing! No more wondering what Buyers thought about your home or why they didn’t make an offer! Listing information binders are put together for all my listings. These binders showcase your home with a professional flyer, subdivision information such as maps and CC&R’s, school information, property disclosures, etc. This information is handy for the Buyers touring your property and keeps your listing standing out among the rest! Your property is syndicated to 100’s of the most important and popular real estate directory websites on the web today! We are continually searching and updating this list making sure your home is going to be seen over and over again! Social Networking is the latest marketing trend with the ability to connect and communicate with others in a fast and fun way. Your property can be posted on virtually any social networking site including Facebook, Twitter, Google Plus, LinkedIn, Pinterest and hundreds more! I am available to my clients day and night, even on the weekends! Phone calls are answered or returned promptly and Text Messages and Emails are sent out very timely for the fastest response time to potential buyers. I have also implemented a Lead Management System to track and maintain communication with prospective buyers. Keeping you in the know at all times is key. After listing your home with me, you will receive weekly emails, reports and phone calls to make sure I have lived up to all your expectations and address any concerns. It’s with these kinds of reports and tools we can reevaluate list price, condition of home and change marketing strategies if need be.